English Language Teaching Assessment is a subject matter that has to be taken by students of English Department. English Language Teaching Assessment is one of pedagogic competence that has to be mastered by English teachers especially in Indonesian context. 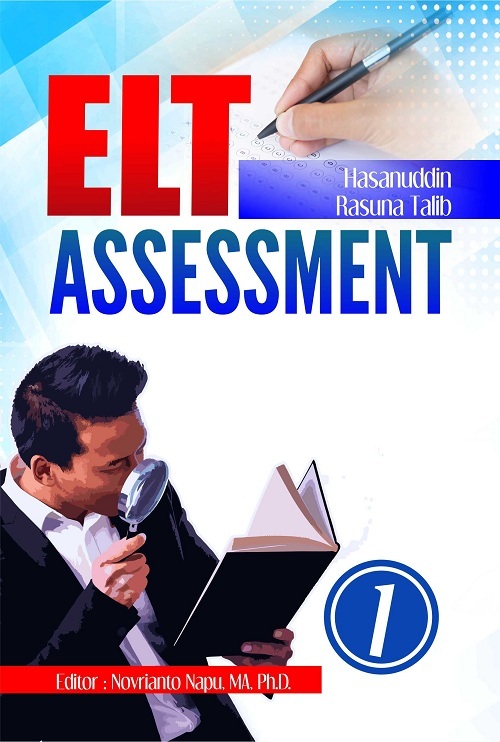 This is book is very important to learn by students who will develop their competence in English Language Teaching and assessment. This book support to students who want to know about testing, assessing, and teaching, approach to language testing, testing and teaching, principles of language assessment, testing and curriculum, adopting, developing, and adapting language tests, developing and improving language tests, describing test results, and interpreting test scores. We hope this book has a significant impact to students for developing competency in teaching and assessing English. We would like to say thank very much for all friends who have supported to finish this book. Buku ELT Assessment 1 ini diterbitkan oleh Penerbit Buku Pendidikan Deepublish.